4WD Driver Training Programs – Australia Wide for a range or industries are available from Performance Driving Australia. 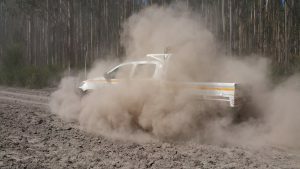 Drivers operating in the Mining / Oil-Gas and Agriculture industries often are required to operate on unsealed tracks and/or off road. Our programs are well developed and recognised by industry. Each program is carefully adjusted to suit specific client requirements. Programs can incorporate nationally recognised units including – (RTO Trisector #52169). 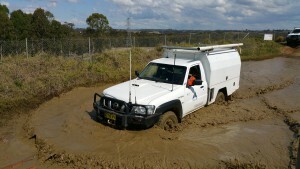 Performance Driving Australia programs assist drivers operating in challenging conditions both on and off road. Gravel roads, heavy machinery, changing weather conditions, long distances, remote operations and a variety of vehicle types can lead to increased chances of damage, injury or worse. Effective training catered to drivers experience levels can significantly improve the safety of your team members. 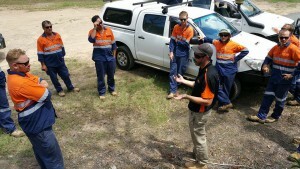 Performance Driving Australia team members design and deliver training for various operations in Australia and overseas. Training programs are relevant, informative and designed to get your team home safely at the end of every shift. Training is not only for new comers to the industry. Experienced drivers will benefit from effective training that reinforces existing skills while adding new knowledge on vehicle systems. Performance Driving Australia focus on creating drivers who understand the risks associated with driving in these extreme environments. Drivers benefit from a mixture of theory presentation and practical driving exercises and programs can be delivered on-site or at one of our many locations located around Australia. Courses are delivered over 1 or 2 days – and typically for groups of 6-20 drivers. Larger groups can be catered for by request with PDA running programs in the past for up to 600 drivers per year for one client and over 90 drivers in 3 days for another. Allowing every driver to experience a range of scenarios in a safe and controlled environment is the key to effective training.